…age-appropriate, inspiring, singable and loved by my students. 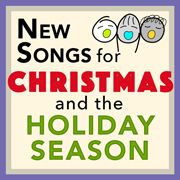 SongLibrary is a collection of modern, age-appropriate songs for children to sing. 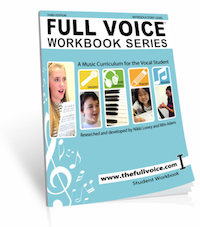 I aim to provide well-crafted, educational, fun songs with great resources for teachers to download instantly. Subscribe to my newsletter for the latest SongLibrary updates. A tribute to Tasmania's 'Centurion Tree' - world's largest flowering plant and second tallest tree. July 2019 will be the 50th anniversary of the Apollo 11 moon landing. Celebrate this momentous event in human history with the SPACE RACE Song Cycle. and teaching resources now available here. Also available as a Songbook and CD. 6. We Are Home Here new! 7. A Book Will Take You There new! Get 10 of our most popular songs at a SPECIAL PRICE. Keep up the good work. You're making my job a lot easier! Your compositions are age-appropriate, inspiring, singable, and loved by my students. The children love the combination of your rap song style. Thank you from a grateful music teacher. My choir just love this song and so do I! I can hardly stop from shedding a tear at my enthusiastic singers. This song is a real audience pleaser. A fabulous way to develop part singing. What an outstanding song. Carolyn Hernandez, Overton Community College, Australia. …we sang your fantastic song and we won! The adjudicator thought it was a super choice for the class. I believe your songs have a very high educative value and the arrangements are "easy" but very effective. Subscribe to the newsletter for the latest SongLibrary updates.